This is the best dangle charm for that camera bag! 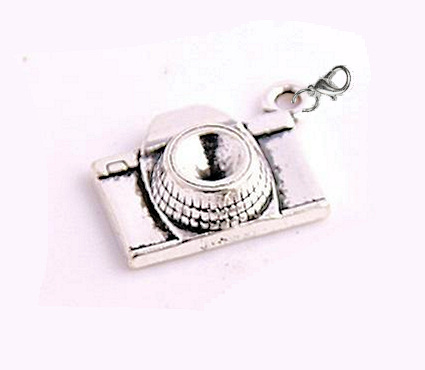 This zinc alloy metal camera charm is antique silver plated and measures 0.81 inches wide. Lobster claw style clasp included.